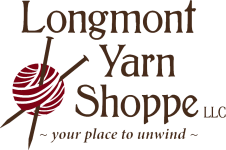 Welcome to LYS, your cozy and friendly Yarn Shoppe located in the heart of downtown Longmont! We Welcome Knitwear Designer Isabell Kraemer to LYS in May! We are delighted to welcome German Knitwear Designer Isabell Kraemer to LYS May 6, 7, and 8th. With 3 levels of class participation to choose from, and a Meet and Greet,we know you'll find the perfect way to participate. Class registration details are here! Sign up for the Meet and Greet here! The Month of April is dedicated to the initiative: Reducing Waste and Recycling at LYS. Join us as we learn about ways to reduce our impact on the environment. Guest Speaker Nick Miranda of EcoCycle will join us at Evening Handwork April 12th, and all month long we will be changing up our strategies to be a better guest on our planet! Our 2019 Park Wanderer Program kicks off its 3rd year of visiting National Parks around the US with our Knit and Crochet Themed kits. This year the opportunity will be extended for those who do Needle Point and Punch Needle! SIgn up by April 30th to get the Early Bird Rate! Registration closes May 12th at Midnight! Don't delay! Details and registration are here! Wyoming Retreat May 30th - June 2nd! It's time to prepare for a road trip to..........Buffalo, Wyoming! 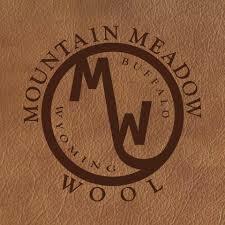 Yes folks, by popular request we are headed back to Wyoming for some fiber fun, yarn dying, boot stompin' in the Saloon and even a farm tour at the end of May! Details and registration are here! Sign up early- there are limited spots on this retreat! Special Guest Instructor Isabell Kraemer! May 7th and 8th 2019, German knitwear designer Isabell Kraemer visits Longmont Yarn Shoppe. Join us May 30th thru June 2nd for this wild west retreat in Buffalo, Wyoming! The Park Wanderer Yarn Club is back! Knit, Crochet, Needlepoint or Punch Needle Rug Hook your own adventure! Join our mailing list for store updates, deals and more! Sandi is an excellent teacher who spends time making sure each student understands all concepts and has time to ask questions. Do not cast on before going to the first class! You will learn information that first night you will want to incorporate. Sandi is also willing to answer questions via text or email and is so helpful if you drop by the Shoppe with any issue/question you may have. This class has truly been an exceptional value when I see what I've accomplished and learned. You will come away with new confidence and knowing that you can now enjoy making sweaters on your own for yourself and others and have the knowledge to customize the fit!" Kris is a knowledgeable, patient and fun teacher. We are all very pleased with our clogs, and will certainly be scheduling another class—I think socks are next!"